In a recent I4I editorial, Ashok Kotwal described the challenge of job creation that is facing the Indian economy today. In December 2017, Prof. Kotwal moderated a panel discussion on the topic between Kaushik Basu (Cornell University), Renana Jhabvala (SEWA), and Pronab Sen (IGC India). The panellists presented their views on issues including raising productivity of the unorganised sector; role of manufacturing and services in job creation; impact of automation and artificial intelligence; and binding constraints on growth of the organised sector. Video and summary of the discussion are available here. How can the productivity of the unorganised sector be improved? 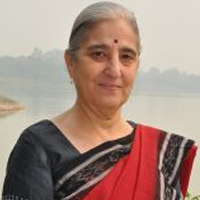 Renana Jhabvala highlighted the feminisation of the farm sector in India. While the ownership of land is still in the hands of men, it is the women that are working the farms and they are still at the lowest manual level of farming. Appropriate technology is available but is too expensive at an individual level. For reaching it to intended beneficiaries at a group level, there is no proper commercial model yet in most of the country, and the rich in the villages have no interest in it. Jhabvala also questioned the National Sample Survey (NSS) data that show that women’s labour force participation is declining. Women are involved in low-productivity activities and do not get credit for their work. They need to be brought into the productive labour force. 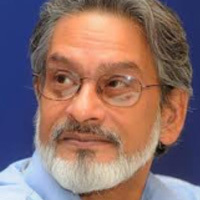 Pronab Sen said that as far as landless labour is concerned, a lot of them, would opt out of farming in its entirety, if they could. While this may not improve agricultural productivity per se, it would improve overall worker productivity. A lot of the landless and even marginal farmers go to the construction sector wherein the organisation of work is such that there is no premium to skills. In terms of returns to education and skills, data show that there is a huge band where there is absolutely no change in earnings – it is only when one goes beyond that, there is a sudden jump of about 40%. Ashok Kotwal argued that improving productivity ultimately involves improving human capital. Human capital is about quality education and that is where there is a fundamental failure. We are talking of imparting skills to people who cannot read very well or do simple arithmetic. 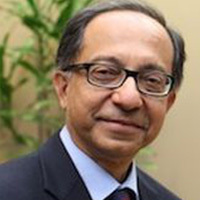 Kaushik Basu added that the responsibility lies squarely with the State because the private sector has no incentive to impart skills to workers who may then use their resulting higher bargaining power to obtain work elsewhere. In this context, Sen referred to the German system of apprenticeship that practically makes it mandatory for the private sector to impart skills to workers. Is the manufacturing sector necessary to generate good jobs? Basu contended that manufacturing was historically considered the ‘jump creator’; China did it magically well but India never jumped on that bandwagon. The State has to play the role of an enabler so that the private sector can employ more people – both in manufacturing and services. Two key ways in which this can be done is providing infrastructure support (transport, electricity, digital technology, and so on), and cutting down on bureaucratic costs. Then, even if global demand for labour is decreasing, given the cheap labour in India, the country can still have a fantastic run for 10-15 years. However, after that India will need to face a problem that China did not have, which is robotics coming in and taking away jobs. Wages may still rise if robots provide complementary services, and there is very rapid GDP (gross domestic product) growth. Sen added that the very small gap between interest rate on working capital loans and long-term borrowing is a policy mistake, as it essentially incentivises companies to buy machines instead of hiring labour. In terms of the services sector generating good jobs, Sen said that much depends upon the institutional framework within which services are delivered. In India, most services are either unorganised or individually provided. What would it take to move to organisation-led service provision, and do we want it? The institutionalisation of services has started to happen in healthcare, for example, but there is an issue of quality and skill sets. Our skill programme is churning out unemployable skills, and the development of employable skills, for which there is a huge shortage, is being held up by professional bodies that are acting as trade unions. In Basu’s view, labour laws play a role for manufacturing. Bangladesh had a very different start in this respect, and has done well. However, the counterview is that in India, there is hardly any labour accessing the Industrial Disputes Act; informal workers in the organised sector is the fast-growing segment of Indian employment. Speaking on what can be done, Kotwal gave the example of the re-zoning of agricultural land as industrial land by the Karnataka government, which led to a cluster effect and boosted businesses and earnings in the area. Sen remarked that even though this is not government subsidy per se, it is the government voluntarily giving up political rent, which is rare. A related issue is land acquisition. Basu emphasised the need to have some form of eminent domain to get the manufacturing sector going. Jhabvala said that it is possible and important to pay fair prices to farmers for their land. When this is done – say, by the government in Gujarat – the money is generally invested productively and people end up being better off than they were before. Jhabvala highlighted that as per NSS data, 80% of urban employment is informal, a lot of which is low-productivity and low-income. There is no focus on employment in the discourse on urban development and planning, and this is a huge gap. Do automation and artificial intelligence pose a danger to job growth in India? According to Basu, we should certainly worry because this trend is going to change the workplace dramatically across the globe, and a lot of jobs are going to be taken away by machines. Just like the industrial revolution caused a major churning in human thinking about matters such as labour regulation, we are at a stage where rethinking on regulation is required now so that this doesn’t become a disadvantage. 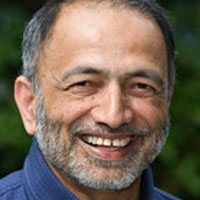 In Basu’s view, the main problem is not automation per se because if machines come and take away all our drudge work, that should be something to celebrate. The problem is the conversion of wages into profit and rent earned by the owners of the machines. We need interventions for the redistribution of income – some fraction of profit in a society has to be shared across the population. If this reduces the incentive for a firm to acquire machines, that would only slow down the process a bit, which is not undesirable. Jhabvala added that technology coming in and taking away jobs has been happening for years and years (for instance, in the textile industry) and will continue to happen. If there isn’t going to be enough work for people in about 15-20 years due to robotics and artificial intelligence, we need to provide basic income to the bottom 60% of the population. It is seen that money in the hands of the poor leads to not just better consumption but also better production, and the whole dynamic changes. Sen said that the danger is indeed very real today. The danger confronts the higher skilled, the more educated of our workforce – the ones that are well-placed at present. The semi-skilled and unskilled may not be affected by robotics in the near future. If you look at industry after industry (automobile components are a classic example), robotics has already come in and people are getting laid off. What are the binding constraints on the growth of the organised sector? Why are more people not being employed ─ is it a supply-side issue or a lack of demand? Besides, when there are so many ways to bypass labour laws and hire casual workers, is it really a binding constraint on the growth of the organised sector? According to Basu, in general, there has been a trend of using technology and capital more and more and cutting down on labour, over time – this is not just something that is happening today. On the labour laws, while he agreed that there are various ways to circumvent them, but the fact that a law is not being implemented doesn’t imply that it is not having any effect; it may not be binding on a firm but when it is using all kinds of arrangements to get around it, it is a cost of a certain kind. Jhabvala said that it is no longer that difficult to hire and fire workers but both in construction and manufacturing it is seen that firms insist on having contract labour. Our systems have become contract systems and that needs to be broken. In this context, Sen said that labour contracting is technically organised service provision, and one can say that it should be brought under regulation. Instead of having an Industrial Disputes Act, there can be an organised sector disputes act, but the fact of the matter is that a labour contractor is an employer and should be counted as part of the service sector.